Using the experience gained whilst working with prominent players such as Mesut Özil, llkay Gündoğan, Shkodran Mustafi, and Lucas Perez, as well as coaches including Robert Pires, FBA Guest Lecturer Erküt Sögüt answers 3 of the most important questions aspiring football agents might have and invites you to his upcoming event in London (see below). Arguably the toughest part of the industry is actually how to get into it! The good thing is, no two agents have had the same path into the profession, and you can approach the world of football agency from whatever background that you have. Agents have experience from a variety of industries, such as a legal or financial background, teaching, coaching, marketing and more! To try and turn a passion and a dream into a reality is tough, but with hard work can be accomplished. It is common for aspiring agents to apply for internships or work experience at large agencies or companies involved in sport. Or, if you already have a client, you may wish to work solely with them for the time being until you are in a position to grow and develop. If you don’t quite have that first player yet, a good way to go about getting one is by attending youth and lower league fixtures. Often, young players are eager to work their way into the top divisions and having representation can help them do so. Being available to go to as many fixtures as possible shows your desire to make your mark in the industry. Do make sure that you are aware of all the rules and regulations surrounding youth players, as there are strict guidelines to follow when representing them. What do you actually do as a football agent? Simply put, you have to be there for you client at all times, and if you won’t, you can guarantee somebody else will! Life as a football agent is unique and different to nearly all other jobs. It is tough and time-consuming, but certainly rewarding. Much of this is do with how every single day offers a different challenge and hurdle to overcome, with the modern-day agent having such a wide variety of jobs and task to fulfil. Among these are the more obvious jobs like negotiating transfers and contracts. These can often be the pinnacle of all the hard work and preparation you have been doing as an agent. Utilising your network of contacts from within the industry, you have to always negotiate on behalf of your client first, and then yourself. Some agents (when negotiating contracts with clubs) ask what their commission is first. Good agents do not do this, instead good agents get the best deal possible for the player and then work out the commission. You always have to work out of the best interests for your player, as you are the one representing them. Especially when dealing with younger players, this includes getting the trust and respect of their parents, who are essentially allowing you to work so closely alongside their child. In addition to this, speaking with brands over potential sponsorship agreements is another common task for agents. Making sure you’re proactive in trying to get your player deals and partnerships is the sign of a good agent, but at the same time have to be aware of the difference between a good and bad deal. Ensure that you are always able to look objectively at deals and assess if they are worth it and add value to your client. What is a football agent like? Nearly all football agents have their own way of conducting business, but most good agents share a series of common traits. Trust and loyalty will always be at the top of the list, as in order for your player to allow you to be negotiating on their behalf, they must have the upmost amount of faith in your ability and quality as an agent. Similarly, because of the nature of the job, you must be hard-working. As with any job, you have to work your way up to the top before you reach the level of success that you set out to accomplish. With the agency business, this means willing to travel all around the world, sacrificing free-time to watch your clients play, and knowing the right people to trust. Make sure that you take advantage of every meeting that you have, and every hour spent working. You never know which day will put you on the path to success, so work your hardest and smartest all the time! Dr. Erkut Sögüt LL.M. 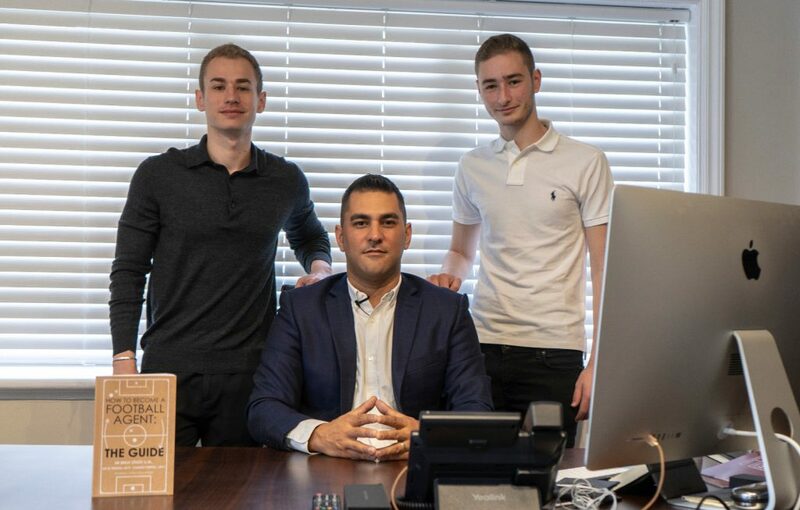 is co-founder of Football Agent Education, a sports-education company which has as aim to help the next generation of football agents to become the experts of tomorrow. Their book How to Become a Football Agent: The Guide, and teaching event ‘The World of Football Agency & Sports Law Uncovered’ are both contributions to this development. Readers interested in attending this fascinating event on 17-18 November in London can register with a 15% discount thanks to The FBA.